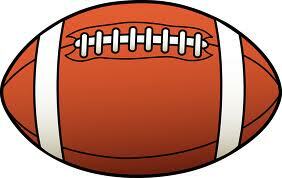 Please read the following Parent/Athlete Concussion Awareness document. Once you have read the document, please click on the football at the bottom of the page and enter your personal information on the next page to acknowledge that you have read and understand the information below. Your child will not be able to participate in the football program until you have read and acknowledged the information in the document below. days or weeks after the injury. 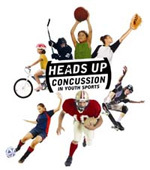 If an athlete reports one or more symptoms of concussion listed below after a bump, blow, or jolt to the head or body, s/he should be kept out of play the day of the injury and until a health care professional, experienced in evaluating for concussion, says s/he is symptom-free and it’s OK to return to play. Rest is key to helping an athlete recover from a concussion. Exercising or activities that involve a lot of concentration, such as studying, working on the computer, or playing video games, may cause concussion symptoms to reappear or get worse. After a concussion, returning to sports and school is a gradual process that should be carefully managed and monitored by a health care professional. Concussions affect people differently. While most athletes with a concussion recover quickly and fully, some will have symptoms that last for days, or even weeks. A more serious concussion can last for months or longer.